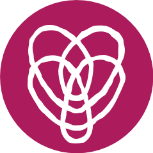 A doula certification organization has a responsibility to its students, doulas, and to the public it serves to develop the scope and standards of its profession’s practice. As the training and certifying company for New Beginnings Doulas, New Beginnings Childbirth Services has assumed the responsibility for developing the scope and standards that apply to the practice of all professional doulas trained through New Beginnings Doula Training. In order to do this, New Beginnings looked at previous work done to define doula practice as well as various scope and standards of certifications and licenses in the area of health care and alternative therapies. Current initiatives underway to establish greater labor support for woman were also researched. The current scope and standards for New Beginnings doulas were established based on this research as well as extensive discussion with other doulas, medical professionals, and practitioners of alternative therapies. A doula provides non-medical, holistic care to the childbearing family. A birth doula provides information to help a family plan how they would like to be cared for during their birth. A postpartum doula provide information that helps a woman adjust to life after birth, including self-care, care of the newborn, and family adjustments. This includes providing current, accurate, and evidence-based information on labor and birth, without providing medical advice and in collaboration with other medical professionals if needed. During the birthing process, birth doulas provide continuous labor support and helps the laboring family work smoothly through the process of labor and birth. This involves non-clinical actions with a focus on support that facilitates normal physiologic labor and minimizes emotional and physical stress during and after necessary procedures. The doula also helps facilitate communication between the laboring family and the medical staff by helping their client identify questions and intentions and helping her communicate them to her care providers. If care is needed outside the New Beginnings Scope of practice, the doula should provide appropriate referrals. 1. A New Beginnings doula provides care that is holistic. Holistic care is defined as care that pertains to the physical, emotional, spiritual, and social well being. New Beginnings doulas utilize Malsow’s Heirarchy of needs in order to assess and provide this care. 2. A New Beginnings doula provides information that is evidence based. The New Beginnings doula works with women, families, support systems, and other providers to provide evidence based information to their clients as the need is identified. 3. A New Beginnings birth doula provides continuous labor support and the postpartum doula provides supportive care in the postpartum period. Continuous labor support is defined as being with the woman from when labor starts or the woman perceives the need of help during labor to after the birth of the infant, breastfeeding is established, and the mother is settled. The doula also meets with the mother before labor and begins to assess needs and establish goals, and during the postpartum period to assess any needs that may be unmet. 4. A New Beginnings doula acts as a patient advocate by facilitating communication and coordination between her client, the medical staff, and any other facilities involved in the woman’s care. A New Beginnings doula is taught to help empower women within the healthcare system in order to ensure their clients understands their rights and provide them with information on what is happening. Information is given for informing choices, and they do this by working collaboratively with doctors, nurses, midwives, hospitals and other institutions in order to help their client express their wishes. 5. A New Beginnings birth doula supports normal physiologic labor through non-medical support measures. Is characterized by spontaneous onset and progression of labor. iIncludes biological and psychological conditions that promote effective labor. Results in the vaginal birth of the infant and placenta. Results in physiological blood loss. Facilitates optimal newborn transition through skin-to-skin contact and keeping the mother and infant together during the postpartum period. A New Beginnings birth doula is taught to provide labor support that helps support physiologic labor as well as reduce any side effects should interventions be needed. They do this by providing comfort care that helps create an environment that supports these physiologic processes. The Standards of New Beginnings Doula are statements of the duties that all our doulas are expected to perform competently. The standards published here serve as evidence of the standard of care within New Beginnings Childbirth Services, LLC, with the understanding that the use of the standards depends on the individual situation. The standards are subject to change as the profession develops and laws are instituted. The standards are subject to formal, periodic review, and revision. The competencies that accompany each standard may be evidence of compliance with the corresponding standard. The list of competencies is subject to change and may be added or eliminated. New Beginnings doulas collect information about the non-medical needs of their client. Collect information utilizing Maslow’s Hierarchy of Needs as a way to address all aspects of their client’s health. Continue to collect information throughout pregnancy, birth, and the postpartum period. Involve their client, client’s families, and other healthcare providers in the collection of their data. Follow the New Beginnings code of ethics, and state or federal legal guidelines, as it applies to their client’s personal information. New Beginnings doulas identify non-medical needs based on information they gathered. Discuss the needs of their client with their client, their client’s family, care provider, and other members of her birth or postpartum team. Use Maslow’s Hierarchy of Needs to assess and identify the non-medical needs of their client. Reassess and evaluate needs as the status of their client changes throughout pregnancy, labor, birth, and postpartum. Use information they gathered to document their client’s needs, goals, and plans. New Beginnings doulas develop a plan that describes goals and actions needed to achieve these goals. Develop a plan that includes their client, their client’s family, care providers and other members of the birth or postpartum team. Establish the plan priorities following the framework of Maslow’s Hierarchy of Needs. Include their client’s goals, scientific research, and ways to address needs as a part of their plan. Utilize the plan to guide communication among members of the healthcare team. Make sure the actions taken follow current rules and regulations pertaining to the work of a doula. Modify the plan as situations change throughout pregnancy, labor, birth, and postpartum. New Beginnings doulas implement the identified plan. Work with their client, family, and other members of their birth or postpartum team to implement the plan in a safe manner. Utilize evidence-based skills as much as possible to help with the problems identified. Apply knowledge of pregnancy, labor, birth, and postpartum in implementing the plan of care. Identify and uses community resources to implement the plan. Collaborate with healthcare providers to implement the plan. Understand and respect different styles of communication used by their clients, families, and care providers. Promote the participation of their client in problem-solving and creating the plan. New Beginnings doulas helps to coordinate the care of the client. Write a plan based off the goals of their client and the non-medical needs identified. Help their client write a plan for how they want to be cared for and make sure other care providers have a copy. Help identify ways they can increase their client’s independence. Assist their clients in making informed decisions. Use evidence based research to educate their clients about ways to address the needs identified. Communicate with other members of the healthcare team. Refer their client if the care needed is outside their scope of practice. New Beginnings doulas utilize their knowledge to educate about and support normal physiological birth as described by the consensus statement on Physiologic birth by ACNM, MANA, and NACPM (included below). Are educated in normal physiologic birth and mechanisms used to provide non-medical support during pregnancy, labor, and birth. Educate their clients on normal physiology and health when these needs are identified, while collaborating with other health care provides. Facilitate communication between their client and the care provider to ensure informed consent is given. New Beginnings doulas provide care through doula skills that help to achieve the goals identified. Use skills that will address the non-medical needs identified. Provide education for their clients and other support persons in how to utilize skills that may be beneficial. Communicate and coordinate their client’s desires to utilize specific doula actions with other health care providers. New Beginnings doulas evaluate progress towards outcomes of the goals. Evaluate the outcome of their care as detailed in their plan. Collaborate with other members of the healthcare team when evaluating the plan of care. Continue assessing their client’s needs during pregnancy, labor, birth, and postpartum and revise the plan as needed. New Beginnings doula practices ethically. Use Code of Ethics for the New Beginnings Doula to guide practice(included below). Maintain the confidentiality of their clients. Maintain appropriate boundaries with their clients. The New Beginnings doula gains an education backed on knowledge, research, and experience in the field. Participate in educational activities that increase their knowledge, skills, and abilities related to work as a doula. Maintain a commitment to lifelong learning. Share educational experiences and thoughts with peers and clients. New Beginnings doulas integrate evidence and research findings into their practice. Utilize current evidence-based knowledge to guide practice. If evidence is unavailable, practice should be based on knowledge of normal physiology. New Beginnings doulas strive to communicate effectively with their clients and other members of the health care team. Assess how they communicate with their clients and other members of the healthcare team. Seek to improve their communication and conflict resolution skills. Encourage and facilitate communication between their clients and other members of the healthcare team. Make appropriate referrals when necessary. New Beginnings doulas demonstrate leadership in the profession and community. Mentor colleagues and student doulas if needed. Develop communication and conflict resolution skills. Participate in community organizations aimed at furthering the education of the birthing community or doula profession. New Beginnings doula collaborate with healthcare consumers, family and others. Partner with others to produce positive outcomes. Communicate with the birthing community, families, and healthcare providers regarding the doula’s role in the provision of that care. Barrett, S. J., & Stark, M. A. (2010). Factors Associated With Labor Support Behaviors of Nurses. The Journal of Perinatal Education, 19(1), 12–18. http://doi.org/10.1624/105812410X481528 Gentry, Q.M. et al. (2010) “Going Beyond the Call of Doula” : A grounded theory analysis of the diverse roles community based doulas play in the lives of pregnant and parenting adolescent mothers. Journal of Perinatal Education, 19 (4): 24- 40.